First time women-voters in Goa will be given pink teddy bears at the pink "women-only" polling booths that have been set up in every constituency of the popular holiday state. According to media reports, the step has attracted mixed reaction from different sectors of society as some people feel offended by it, while others appreciated the incentives. The officials tried to clear the air around the controversy saying that these steps are aimed at encouraging women to vote. Pink balloons and pink posters with women empowerment messages have also been installed at the polling booths. 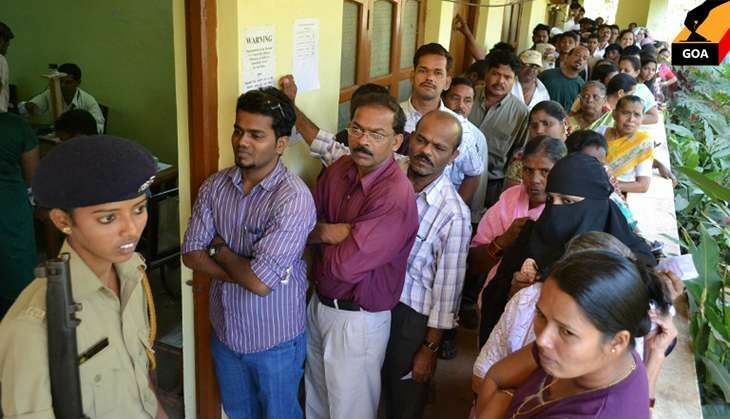 Meanwhile, the polling in Goa for 40 assembly seats began on 4 February and voter turnout of 15 percent was witnessed till 9 a.m. The numbers are expected to increase. North Goa recorded a voting percentage of 16 percent, while South Goa recorded 14 percent. About 32 thousand young voters will be exercising their franchise for the first time and women voters outnumber men this time. 40 'all-women' managed polling stations have been set up to motivate women's participation in the electoral process. The commission has made a directory of about 2700 Persons with Disabilities who will be given pick up facility from home. Meanwhile about 1.7 crore rupees and more than 70 thousand litres of liquor have been seized, till date by the Election Commission appointed police and excise teams.